CAPE is circulating a petition calling for better laws to protect Canadians from harmful chemicals, including pesticides and other toxic substances. You can lend your voice by signing the petition. Here is why CAPE is taking this step at this time. We can certainly understand that parents don’t want to feed their children foods that are contaminated with pesticides. But, in fact, they have may have little control over that. Recent tests confirm that there are pesticide residues in a number of common food items, including many foods eaten by children. And that’s unsettling to Canadians who expect that the food we consume will be free from pesticides. There’s another concern, too. Startling revelations from a California court ruling this summer have shone a light on efforts by the chemical company, Monsanto, to downplay risks associated with its glyphosate-based pesticide products. This new information puts a cloud over Canada’s 2017 decision to re-approve glyphosate for use in Canada for a further 15 years. Glyphosate, the most widely sold systemic weed killer in the world, is the key ingredient in Roundup, Ranger Pro and similar products manufactured by the Monsanto Company. Glyphosate is used on food crops such as canola, corn and wheat; on lawns, turf and roadside rights-of-way; and in forestry to suppress the growth of deciduous trees. It is also sometimes used as a “dessicant” to dry out crops just before harvest. Exposure to glyphosate has been associated with a number of adverse health impacts in both adults and children. The International Agency for Research on Cancer (IARC), an office of the United Nations’ World Health Organization, declared, in 2015, that glyphosate is “probably carcinogenic (cancer-causing) in humans”. So, what’s in your lunch? It might be comforting to parents to know that the amounts of glyphosate found in the latest tests were below the levels that Health Canada has declared to be “safe”. But such reassurance depends on whether or not Health Canada’s Pest Management Regulatory Agency (PMRA) has done a thorough evaluation of the risks, using independent, peer-reviewed scientific studies. New evidence suggests that this may not be exactly what happened in this case. For this piece of the story, we have Dewayne Johnson to thank. He is a groundskeeper who worked for a public school district in Benicia, California. During the course of his work, Mr. Johnson extensively used Roundup and other similar products containing glyphosate to maintain school grounds and sports fields. Subsequently, Mr. Johnson developed a form of blood cancer called non-Hodgkin lymphoma. He began to suspect that there might be a connection between exposure to glyphosate and this disease. When he found studies supporting his concerns, Mr. Johnson decided to sue Monsanto, alleging that their products caused his illness. After a 20-day trial, the jury agreed and, in August 2018, awarded Mr. Johnson a substantial financial settlement. Lawyers for Monsanto (now owned by Bayer) have said they will appeal the verdict. In preparing their case, Mr. Johnson’s lawyers demanded access to internal Monsanto communications to find out what the company knew about the risks associated with glyphosate. This resulted in the release of a flood of emails, memoranda, reports and other documents that are being called “the Monsanto Papers.” These documents show that company employees and operatives sometimes had an uncredited or unclear role in preparing or reviewing studies that were supposed to have been done by independent scientists. These purportedly “independent” studies were supposed to reassure regulatory authorities that glyphosate does not cause adverse health impacts such as cancer. Monsanto’s involvement in preparing or framing studies that were released as the work of independent researchers raises questions for Canada as well as the United States. To what extent might Canada have relied on biased evidence in making its decision to re-approve glyphosate for use in this country? That is what CAPE and other organizations are aiming to find out. The legal non-profit organization, Ecojustice, has found that the PMRA has referred to a number of studies in which Monsanto had an uncredited role, when the regulatory agency decided that the risks associated with glyphosate are “acceptable” for Canadians. In light of this disturbing information, CAPE and a number of other health and environmental groups are asking the Federal Minister of Health for a full and independent review of glyphosate and of the evidence used in re-evaluating this pesticide. Canadians need to be certain that the system that is supposed to safeguard their health and environment is doing what it is intended to do. 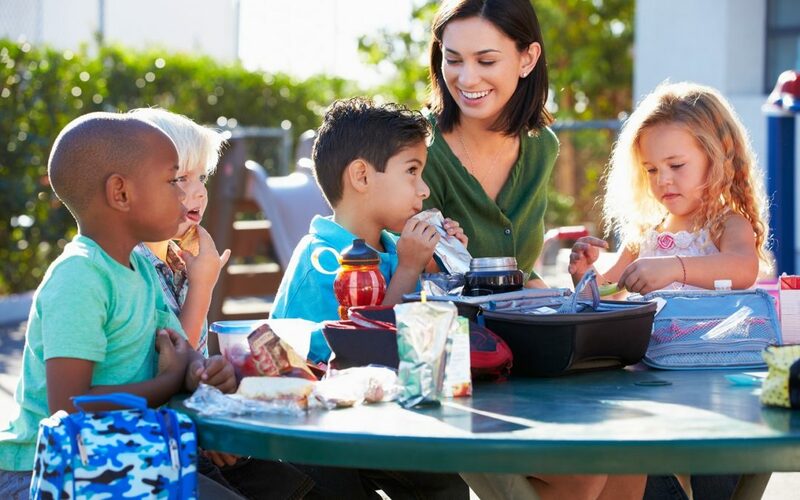 Please help protect children from harmful pesticides in food by signing the petition demanding better laws on pesticides and toxic substances in Canada. Monsanto Papers Press Release available here. Glyphosate and Monsanto Media Backgrounder available here. I would assume that the Environment Minister would want a healthy environment. I would likewise assume that the Minister of Health would want to preserve human health. A ban on glyphosate would be one measure to do that. We need stronger laws to protect us from harmful pesticides in our food. We’re counting on you. I have seen too many people sick from herbicides and pesticides during my career as a medical doctor. Please legislate these chemicals out of the agricultural and the food supply. All of our children and grandchildren will be healthier for it. We owe it to the future generations. There is NO NEED to use pesticides in our food. Grow organically. You get better quality and quantity of food. Pesticides are touted by the manufacturers of same but there is no proof they make food better in any way. It ruins the earth and air. Ban pesticides now. Thank you. Almost everything Monsanto touches needs investigation. Their only concern is profit.